DC Bebop - Eddie Baccus Jr. In the beginning, Eddie played music with a loaner Oboe in high school. By chance, fate or fortune, the loaner was broken by another student, so he began playing the Saxophone. 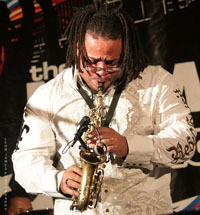 After graduating from high school, Eddie enrolled in Berklee's Five-Week Summer Performance Program, better known as "Five-Week," during which he played in ensembles, develop improvisational and reading skills, improved his technique in weekly private lessons, and enjoyed lectures/ demonstrations by well-known faculty and visiting artists. His skill gained him a full scholarship for "Five-Week. Eddie has performed at the "world famous" Apollo Theatre in Harlem and "won, 5 times off air and 2 times on air." During his time in New York, he studied with acclaimed saxophonist, Joe Lovano. In the summer of 1993, 1994 and 1995, Eddie toured with a play called “A Good Man is Hard to Find,” Directed by David Payton. 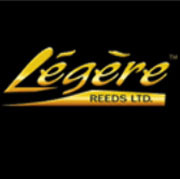 During that same period, he toured with "world-renowned" trumpeter “Lester Bowie”, and in 1995 he also became a member of the "internationally known" smooth jazz group “Pieces of a Dream,” and has continued to perform with them to the present. 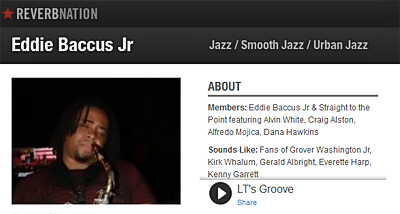 "Eddie has performed with and alongside such well known artists as Luther Vandross, Jeffrey Osborne, War, Candy Dulfer, Rick Braun, Grover Washington, Jr., George Duke, Bobby Watson, Greg Abate, Lester Bowie, EWF(Earth Wind and Fire), Regina Carter, Dianne Reeves, Vesta Williams, Norman Conners, India Irie, George Benson, Miki Howard, Jean Carne, David Sanborn, Will Downing, Phil Perry, Najee, Gerald Albright, Kirk Whalum, Marcus Belgrave, Benny Golson, Bobby Lyle, Jeff Lorber, Ricky Lawson, Aaron Graves (Piano”Little Jimmy Scott”), Lenny Castro, Lil’ John Roberts, Phil Davis, Chris Coleman, Andre Gouche’, Giovanni Hildago, Eric Marienthal, James Carter, Curtis Fuller, Regina Belle, Rachelle Farrelle, Ronny Jordan, Rhonda Smith (Prince’s Bass Player) and Gerald Veasley. More recently, AWB (Average White Band), Stevie Wonder, Peter White, Walter Beasley, (Eddie plays on two cuts from Walter’s CD For Her “What Ya Feelin?” & “Coolness”), 2 CDs for Shanacie Records “Touch Me In The Morning” and “Smooth Jazz does Classic R&B, “Maysa Leak from the group “Incognito,” Atlantic Starr and Ledisi Young." 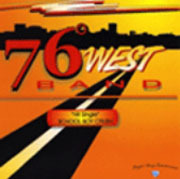 (bio) He performs with the DC based "76 Degrees West". Eddie has been recorded on 8 CD’s with Pieces of a Dream. He can be heard on “Pieces” (1997), “Ahead To The Past” (1999), “Acquainted With The Night” (2001), “Sensual Embrace Vol.1 (2001) & 2” (2004), “Love’s Silhouette” (2002), “No Assembly Required” (2004), “Pillow Talk (2006) and "Soul Intent (2009). Not just a "sideman", Eddie has headlined several of his own productions and formed a band to perform with singing artist “Vesta,” during one of the awards ceremony for the “100 Black Men’s” annual event. He has also toured with his band "Straight To The Point" backing vocalist Angela Bofill and singer, keyboardist Frank McComb. 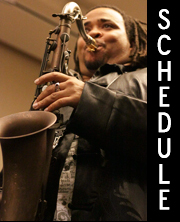 Eddie "plays Sopranino, Soprano, Alto, Tenor, Baritone and Bass sax, Flute, Bb Clarinet, Bass Clarinet as well as the EWI (electric wind instrument) and sings." 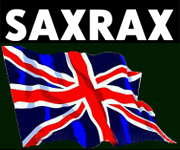 His repertoire of music includes jazz, R&B, reggae, country, neo soul, big band and expanding. In addition to performing with "Pieces of a a Dream", Eddie has his own band “Straight To The Point,” which performs around the world. In 2010 "Straight to the Pont" released “Journey To Love”, the title track of which Eddie wrote. Eddie is also working on a project featuring Russell Ferrante, Robben Ford and Eric Marienthal titled “Living The Dream”. Musical career finally found jazz saxman Eddie Baccus Jr.
"When Eddie Baccus Jr. was in high school, he gave no indication that he would become a musician. 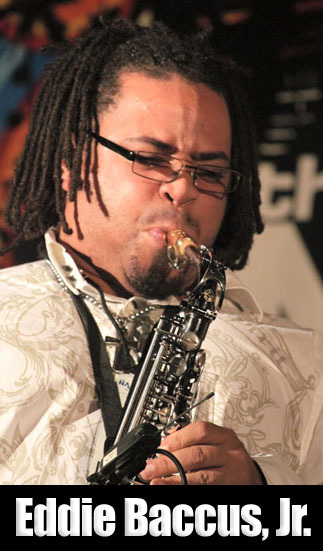 But the saxophonist and Mitchellville, Md., resident is now studying for his master's in music education at the University of the District of Columbia and in the process has worked with a plethora of artists, such as Lester Bowie, George Duke and Grover Washington Jr. He'll appear with his band Straight to the Point at the Holiday Inn in Oakland tonight for Club Duo's monthly "Smooth Jazz Friday" event. Hear more of this interview and some sax work by Eddie Baccus Jr. on the Believe Your Ears podcast. Despite his pedigree as the namesake son of the Cleveland-based organist, Baccus didn't take to music as a child. At one point a teacher "told my parents, 'Don't worry about your son playing anything -- he has no musical talent.' "
Eddie Baccus Jr. at 2012 NAMM Show | "Journey to Love"
Club 347 on April 12, 2010 - Ronnie Laws cover "Always There"